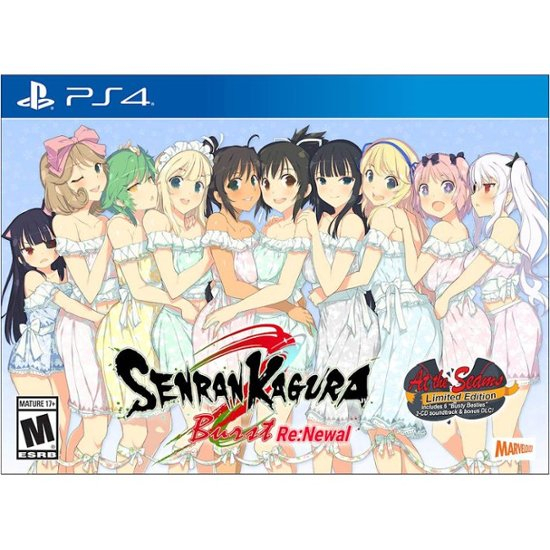 Краткое описание: Originally released under the name SENRAN KAGURA Burst in Europe and serving as a "director's cut"-style take on the inaugural entry in this now storied series, SENRAN KAGURA Burst Re:Newal brings the prior release's classic 2.5D action to modern hardware with a full 3D remake and a fresh retelling of the story that started it all. With additional DLC episodes to come that will reveal new story episodes for Yumi and Miyabi detailing their histories prior to meeting Asuka and Homura, SENRAN KAGURA Burst Re:Newal delivers an authentic recreation of the original game while ensuring that series fans will have plenty of new content to look forward to! Originally released under the name SENRAN KAGURA Burst in Europe and serving as a "director's cut"-style take on the inaugural entry in this now storied series, SENRAN KAGURA Burst Re:Newal brings the prior release's classic 2.5D action to modern hardware with a full 3D remake and a fresh retelling of the story that started it all.